The percentage of IT projects that fail is embarrassing to those in the IT industry! Project managers need to get their act together to ensure that their projects run smoothly, all lines of communication are open, and they have the backing of the stakeholders and upper management. But do PMs have the skills they need to keep a project afloat? 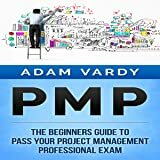 If you are a project manager, aspiring to be one, or just an adult continuing your education in the field of business and IT project management, then you need to listen to this book and learn from other failed IT projects how you can overcome these types of failures and be a successful IT project manager. This book is highly useful not only to project managers in IT industry, but also in other fields as well. Reading this book helped me to understand the cases where IT projects have failed and further it goes on explaining the problems that caused this issue and the remedy for those issues as well. 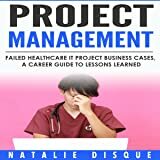 Natalie Disque's own experience as a Project Management Professional certified member and as a project manager helps the reader giving valuable information and aspects to look in to. As a construction engineer in the field of civil I find plenty of lessons I learnt from this book which can be useful and applicable to situations I face in the in the industry. 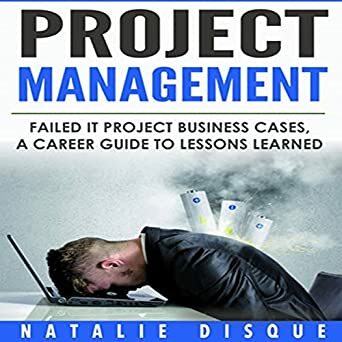 Project Management: Failed IT Project Business Cases: A Career Guide to Lessons Learned includes plenty of tips for project managers to follow, the roles they are expected to play and how to manage the technology efficiently. The book goes on explaining several cases where projects failed and lessons that we can take by studying those cases.Well known "London Whale" incident that took place in 2012 linking J.P Morgan Chase & Company is also included as a case study for the readers. Even technology giants like Apple has failed in their projects. This book provides the basic cases on NIKE, MCDONALDS and Google as well. 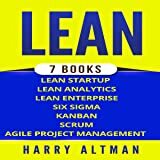 You can learn lessons like controlling, testing, manage customers and satisfy them and these lessons will assist you as the back born for your project management work. 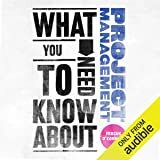 You can understand the requirements, planning ,business technical and political factors that are involved in project management by reading this book. Not only IT, All the PMs should follow this book.Highly recommended. We’re often told by ultra-successful, wealthy people that learning from failures in life can be just as valuable as what we learn from our successes. Recovering from your mistakes and jumping back into the action with a better plan can lead to attaining your vision and goals. The first half of the book highlights examples of failed IT projects within large, well-known companies such as Apple and Google. Such failures happen more often than people might think in the cutthroat IT world, and the upshot is that both small and large issues can cost these companies a lot of lost money. JP Morgan, for instance, screwed up because of improper numbers in an Excel file. Disque’s critique of McDonald’s shows that some companies should stick with what they know and not worry about being overly high-tech. Other takeaways include the importance of proper testing and planning; making sure employees are properly trained; thoroughly strategizing and getting input from customers when necessary; and not creating unrealistic timelines that can doom a company. Disque’s correct mindset is that technology evolves quickly these days, and that companies need to stay on top of things to adjust and react accordingly. The author spends the second half of the book covering areas—from the implementation of a project to the execution—that should always be addressed. This more technical, in-depth part of “Project Management” goes over requirements, planning, politics, and the business side of things. Disque then offers advice and summarizes things cogently in the “Conclusion” section. “Project Management” would certainly be helpful for those in the IT field, but I think it also translates well to project managers and team members working in other fields. The book was enhanced with first-person asides and humor that give it a nice personal touch. In a congenial way—you can tell she is a seasoned teacher—Disque presents material that emphasizes a forward-thinking approach, collaboration, practicality, and sound strategies. Very detailed analysis of why IT projects fails. Author Natalie gives many case studies that are definitely going to helpful to project managers to avoid such mistakes in their current projects and upcoming projects. I read all these case studies first time and those will definitely helpful for me in my future projects. What I liked that after so many case studies, author also wrote chapters on other factors from requirements to technical factors which certainly have impact on project's success or failure. These lessons are very important to IT project success. There are lots of tips on how to do the right things that will be beneficial to the project while avoiding mistakes at the same time. Overall one of the best guides I found on successful IT projects. Highly Recommended! There is some good stuff in here. I expected more in that the experiences outlined for projects are not the Authors. Having said that, the book later shows she is an experienced project manager and in all probability a good one. Not a lot of detail in the examples but they are in fact good examples. The Author closes strong with tips of her own. 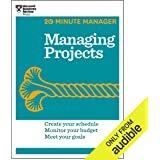 Worth the read on project manager. This is a short but highly recommended read for anyone in the IT arena. 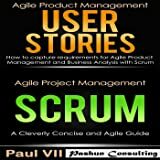 The author cites real life case studies of projects gone wrong in top-tier, well-known companies. There are summaries for lessons learned and recommendations. I enjoyed this book because it's not laced with theory and endless pontification. Even if you are a seasoned PMP, this is worth reading. I was looking for more in depth info. Terribly written. Ready like a high school paper.